Selecting the corrupt MDB or ACCDB file and appropriate mode. Depicting list of all recovered MS Access data files. Providing the link for accessing the repaired files. Q. 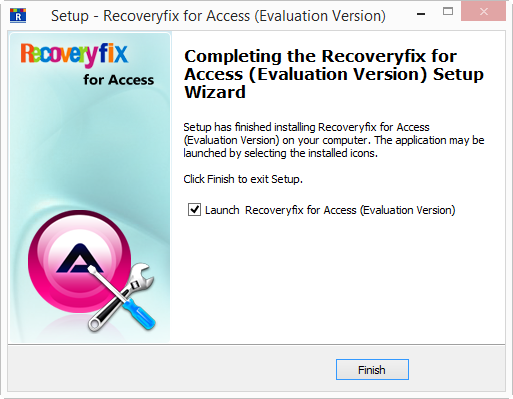 In what situations Recoveryfix for Access software is most useful? A. Recoveryfix for Access is useful when the MS Access database undergoes corruption resulting from synchronization failure, unexpected system shutdown, damage of key data structures, wrong database format, media error, software failure, virus attack, etc. It formidably handles all these situations and produces the quality results in the timely manner. Q. Does this software repair the password protected access databases? A. 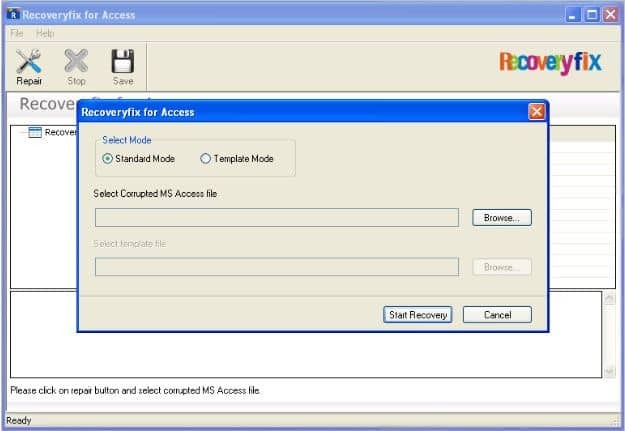 Yes, Recoveryfix for Access lets you recover the password protected MS access databases instantly provided that you know the password. Q. 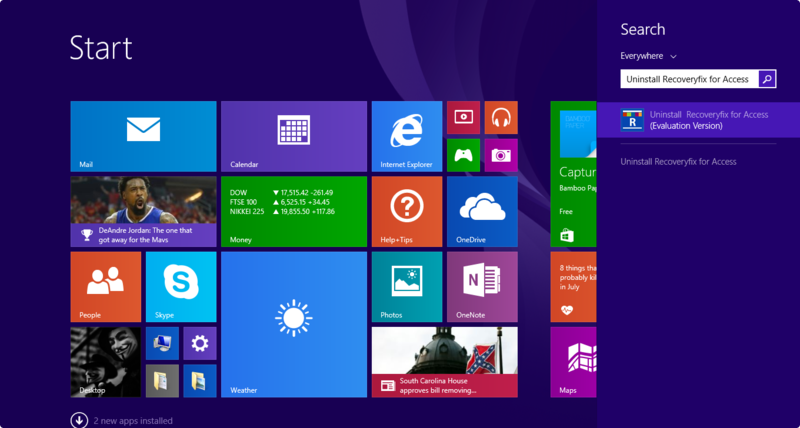 Which all versions of MS Access do the software supports? 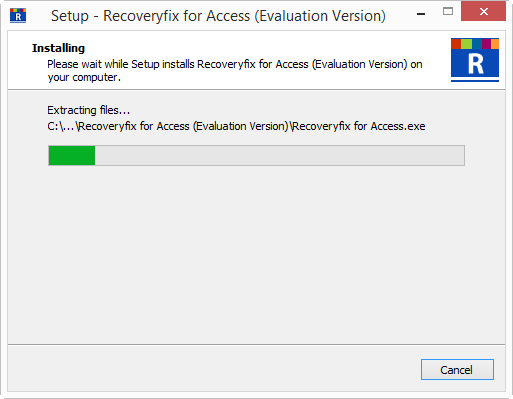 A. Recoveryfix for Access supports MS Access 95, 97, 2000, 2002, 2003, 2007, 2010, and 2013 versions. Q. Is it necessary that MS Access software should be installed on the system while performing the recovery process and saving the files? A. Yes, absolutely. 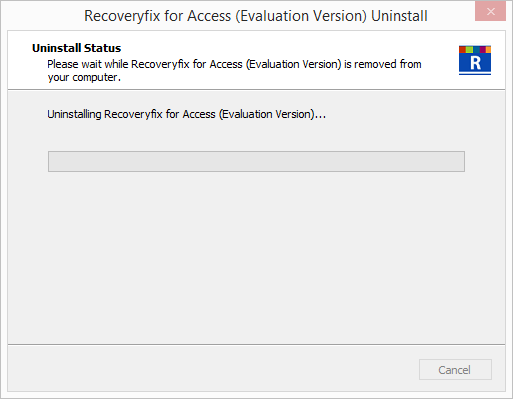 The MS Access software should be pre-installed before you start up the recovery process with Recoveryfix for Access software. 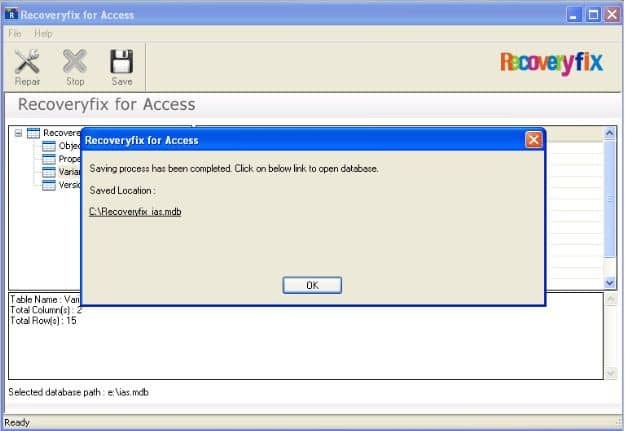 Q. I lost my copy of Recoveryfix for Word software, can I get the full version back? A. Our Support Desk is meant to help you, just email us your issues at sales@recoveryfix.com with your details including your name, address, email address and order confirmation number (if you have it). We will be happy to help you. Q. How would be the trial version of software is useful? A. If you have any doubt regarding the performance of the software, then you can opt for downloading a trial version first. 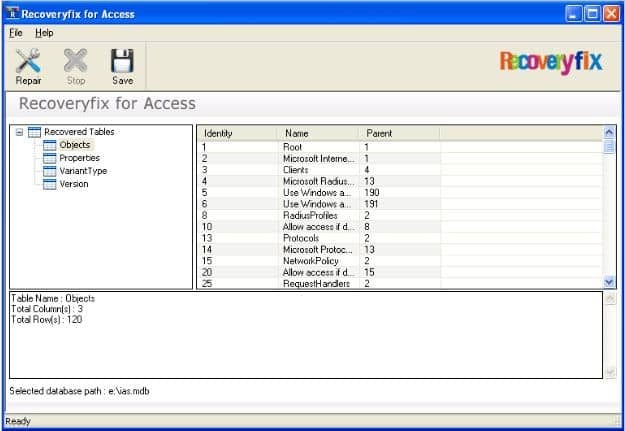 It lets you perform the recovery of corrupt access databases and displays the results. If you feel satisfied with the performance, then go for the option of purchasing full version and save the recovered files.